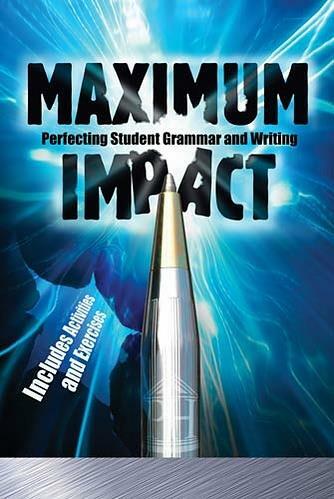 Maximum Impact is an in-depth middle school grammar & writing resource that leads 6th- through 9th-grade students through the process of shaping and improving their writing by maximizing the clarity, coherence, and the overall effectiveness of their words, sentences, and paragraphs. Through step-by-step instructions, pointed examples, meaningful activities and exercises, this book both tests and reinforces the logical application of grammar, punctuation, and usage rules. If you’re ready to crush writing errors in your classroom and help your students become the best writers they can be, this is the program for you. 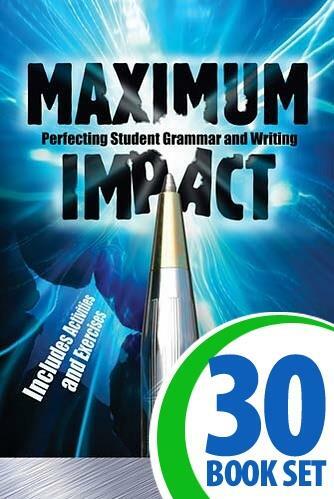 Why use Maximum Impact for middle school grammar & writing instruction?